quality of 3.1 Million Pixcells, So you can see very minute pictures very clearly. Adding to this have a new advanced eye sight camera, which is similar to iPhone4S , with auto focus has also included in this.Other hot features include HD Video record and voice dictation with microphone button on the Keyboard. This is supposed to be the biggest roll out from Apple ever. So what are the hot features here. Retina display. See everything like never before. Four times more pixels than iPad 2. Razor-sharp text. Richer colors. The Retina display transforms entire iPad experience. So everything looks and feels incredibly lifelike and perfectly detailed. 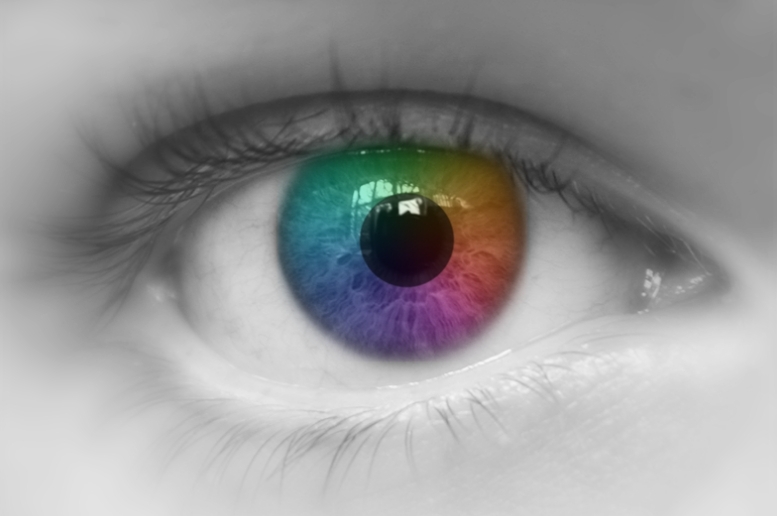 What is Retina display ? DVGA (Double-size VGA) screens have 960×640 pixels (3:2 aspect ratio). Both dimensions are double that of HVGA, hence the pixel count is quadrupled..
Everything you do with iPad, you do through its large, beautiful display. And when the display is better, the entire iPad experience is better. The Retina display on the new iPad features a 2048-by-1536 resolution, 44 percent greater color saturation, and an astounding 3.1 million pixels — in the same 9.7-inch space. That’s four times the number of pixels in iPad 2 and a million more than an HDTV. Those pixels are so close together, your eyes can’t discern individual ones at a normal viewing distance. When you can’t see the pixels, you see the whole picture. Or article. Or game. In ways you never could before. The A5X chip with quad-core graphics drives four times the pixels of iPad 2 yet it delivers the same smoothness and fluidity iPad is known for. Even with all that extra oomph, the new iPad still gets an amazing 10 hours of battery life. iSight Camera : Shoot 5-megapixel still images. HD Video Recording : Record HD video in full 1080p. Sometimes life takes you by surprise. You’re reading a best seller on your iPad waiting for the morning train when you spy a gifted performer on the platform. Or you’re browsing the web on the couch when your dog trots by wearing your daughter’s tutu. The iSight camera on the new iPad lets you capture all these unpredictable, beautiful, and hilarious moments. In 1080p HD, no less. And with automatic video stabilization, your recording is free of bumps and shakes. Which is a big advantage when you’re laughing uncontrollably.